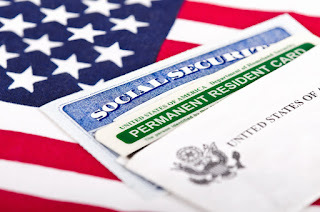 If you married a U.S. citizen and were granted a green card within two years of your marriage date, then you will be a conditional permanent resident of the United States for two years. In order to remove the conditions of your residency, you will have to file a Form I-751, Petition to Remove Conditions on Residence 90 days prior to the expiration of the two years of conditional residence. If your Form I-751 petition is successful, then your legal residency in the United States will be extended for 10 years. When you file Form I-751, you must specify whether you are “married” or “divorced” – but there is no option for “separated.” For couples who are taking a break, filing Form I-751 can be confusing, and a small mistake could compromise your ability to remain in the United States. This is where an immigration attorney can help. Charles Kuck is a green card lawyer in Atlanta who will evaluate your situation and explain the steps you should take when trying to remove the conditions of your residency in the United States. Call 404-816-8611 to schedule a consultation at Kuck Immigration Partners. My Divorce Is Pending and I Do Not Live with My Spouse. Should I File Form I-751 as If I am Married? No. If your divorce is pending and you are not living with your spouse, it is fraudulent to file Form I-751 as if you are married and share the same address with your spouse. In some cases, a pending divorce will not be finalized until the two-year Form I-551 deadline expires. This is common because divorce proceedings in some states take at least six months. In this situation, many people think it is a good idea to file Form I-751 late – after your divorce proceedings are complete, but it is not. While USCIS officers may excuse the late filing if you provide a reasonable explanation for why you did not file the petition on time, there is no guarantee that will happen. Generally, the best practice is to file the form as married, but indicate in an attachment that you are separate and pursing divorce. What If My Spouse and I Are Trying to Resolve Our Marital Issues? In this situation, it is often still better to get divorced as soon as possible so you can avoid potential complications when filing Form I-751. Again, it is fraudulent to say that you and your spouse are married and living at the same address if this is not true. Depending on the specifics of your case, it may be better to get divorced, indicate that you are divorced on Form I-751, and then try to resolve your relationship problems and possibly remarry. As you can see, removing the conditions of permanent residency in the United States is often a complicated process. A green card lawyer can provide legal guidance based on the particular facts of your case and help you avoid mistakes that would lead to a denial of your Form I-751 petition. Charles Kuck is an immigration attorney in Atlanta who will help you navigate U.S. immigration laws. Call 404-816-8611 today to schedule a consultation at Kuck Immigration Partners.